HP has unveiled its latest iteration of ultra portable notebooks based on Intel's Broadwell architecture and designed with business customers in mind. 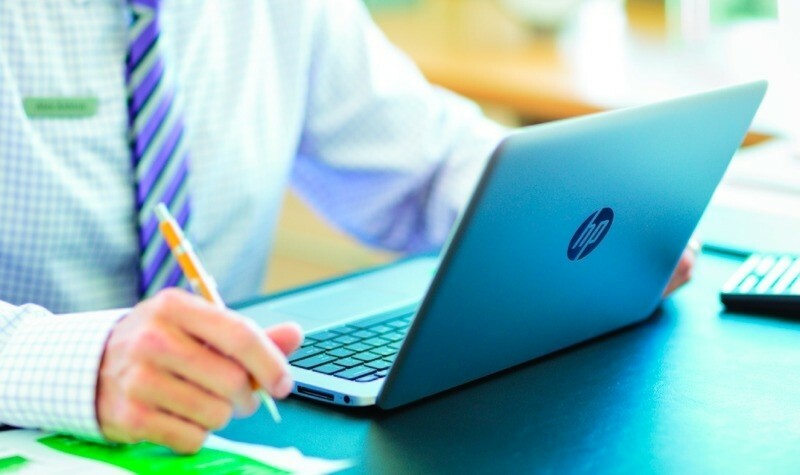 The new HP EliteBook Folio 1020 contains an Intel Core-M processor, has up to 9 hours battery life and reaches military-grade (MIL-STD 810G) standards to absorb the impact when you drop the device. This should add some longevity and peace-of-mind when taking it out and about on business trips. The notebook weighs up to 1.2 kg (2.6 lb), has a 12.2" screen with optional touch features and is only 15.7mm thick. I say 'up to' because the Folio 1020 will be available in two variants - the basic model and a special edition which uses an exclusive blend of magnesium-lithium alloy and reusable carbon fiber to achieve a weight of only 1 kg (2.2 lb). Furthermore, the special edition has a default resolution of 2560x1440 whilst the basic model is only 1920x1080. Other features that specifically cater to business users include HP Client Management Solutions, Intel vPro technology, Trusted Platform Module (TPM) 1.2/2.0(6), pre-boot authentication, fingerprint reader and HP's Sure Start self-healing BIOS to help better protect your device, data and identity. The Folio 1020 are also the first EliteBooks to implement a newly designed premium keyboard that's said to add a bit of travel and give a more consistent feel on each key press. There's also an integrated 720p webcam, front firing HD audio speakers with DTS Studio Sound and HP Noise Reduction Software which helps with conferencing tasks. From an aesthetic standpoint, the notebook looks remarkably similar to an Apple MacBook Air barring the HP logo on the front lid. If you're looking for a Windows-based alternative that shares the Air's sleek design, the Folio 1020 appears to pull off just that but with some pro features thrown in too. Availability is expected in February for the HP EliteBook Folio 1020 Standard Edition, and April for the HP EliteBook Folio 1020 Special Edition, with prices to follow nearer the launch dates.